Evidence demonstrates that within the European Union countries, over 50% of men and women are overweight, and around 23% are obese. Obesity has multiple harmful and negative effects on our health. People who are overweight or obese are at a higher risk of developing serious conditions, including, heart disease, type 2 diabetes, cancer, and bone and joint disease. Losing weight or maintaining a healthy body weight is extremely challenging for a lot of us. We do not live in a society that supports good nutrition and self-care. High demands from work, family and society can cause us to put our health on the back-burner. If you are finding it difficult to lose weight, Chinese medicine may offer you the extra support you are looking for. 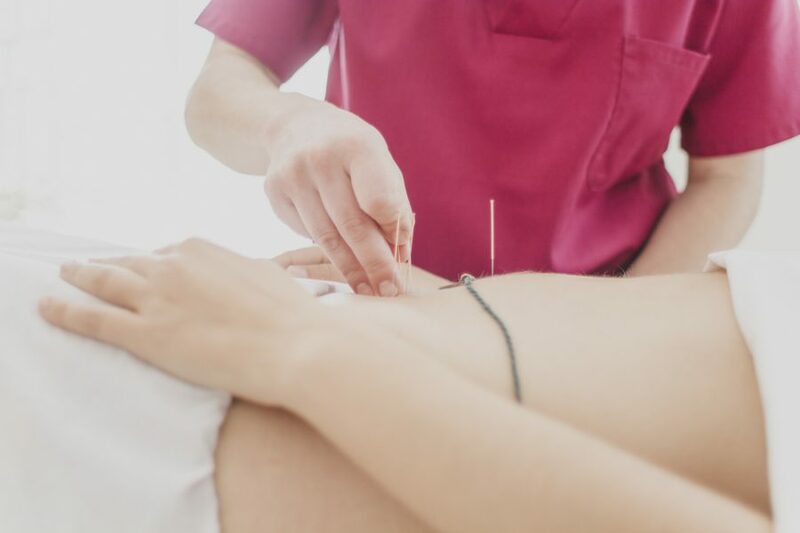 Research suggests that acupuncture can help suppress an excessive desire for food. Acupuncture stimulates the auricular branch of the vagus nerve, as well as raises serotonin levels in the body. Both of these activities help suppress appetite by increasing tone in the smooth muscle of the stomach. Chinese medicine is very effective at calming the mind and nervous system. Acupuncture releases endorphins in the body, which are feel-good hormones that rapidly decrease stress and anxiety. By relaxing the mind and body, acupuncture can help decrease the urge to overeat. Emily Klein | B.S. in Nutrition Science & Dietetics, Central Washington University, Master of Traditional Chinese Medicine, Five Branches University, Certificate in Sports Medicine, Five Branches University, Certified Yoga Instructor & Personal Trainer (NASM) and practitioner at Instituto Meridians.